This property is 8 minutes walk from the beach. Featuring 3 swimming pools, a dive centre and private beach with a restaurant, Sunshine Marine Lodge is situated on a cliff overlooking the Indian Ocean and Mnemba Atoll, in a wild and unspoiled bush, far away from the busy city. It is just 700 metres from the white sand Muyuni Beach. All the rooms come with a balcony or terrace and ocean views. They also include Zanzibari-style décor and a safety deposit box. The en suite bathrooms are equipped with a shower. Sunshine Marine Lodge also offers their guests exclusive access to a private beach area on Muyuni Beach. This private beach features a restaurant, beach bar as well as umbrellas and sun lounges. There is a wooden jetty leading down to the beach at low tide and to the sea at high tide. Guests can also relax in a hammock or by one of the pools. Dive Point Zanzibar offers scuba diving and snorkelling. Guests can enjoy local and international cuisine at the restaurant and drinks at the Boat Bar. There are several lounge areas, and free Wi-Fi is available throughout the property. 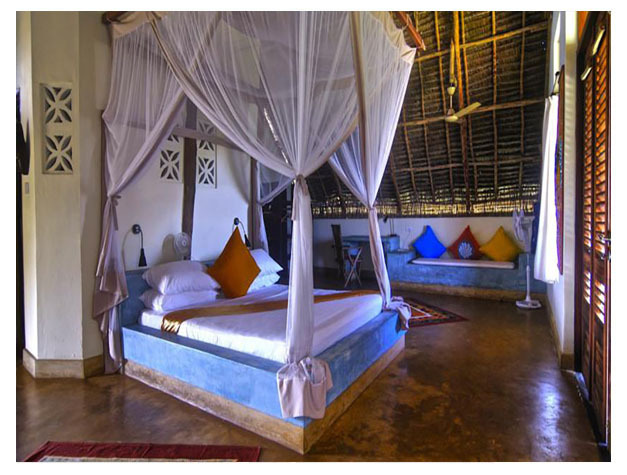 Sunshine Marine Lodge is located 55 km from Stone Town and 60 km from Zanzibar International Airport. 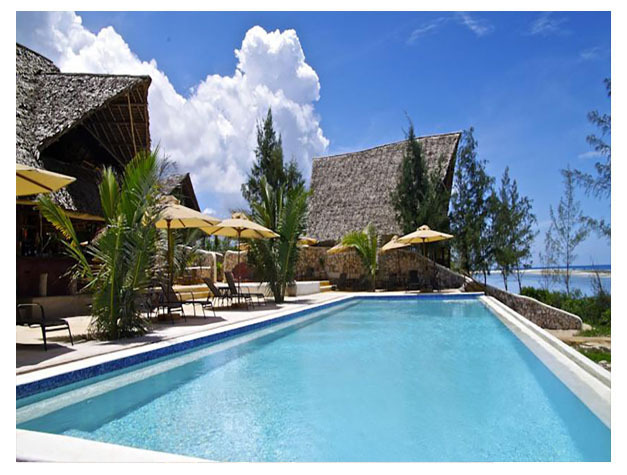 Located just in front of Mnemba Island, the lodge is a 20-minute drive from Matemwe.